I’ve never been very skilled at multitasking but I’ve discovered an activity that easily allows me to accomplish two things at the same time: increase my English vocabulary, and help feed hungry people all over the world. That’s a satisfying double benefit. 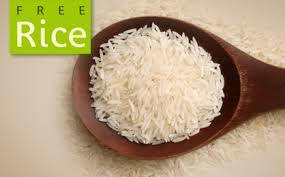 By visiting the website Free Rice, you have the ability to improve your vocabulary and simultneously help end world hunger by providing rice to hungry people for free. Simply play the voabulary game and each correct answer donates 10 grains of rice to the United Nations World Food Program. It is a rewarding feeling to know that your actions support a selfless cause as well as create an impact on your education. Over 97 billion grains have been donated since this program began in October 2007...and we’re all getting an education in more ways than one.